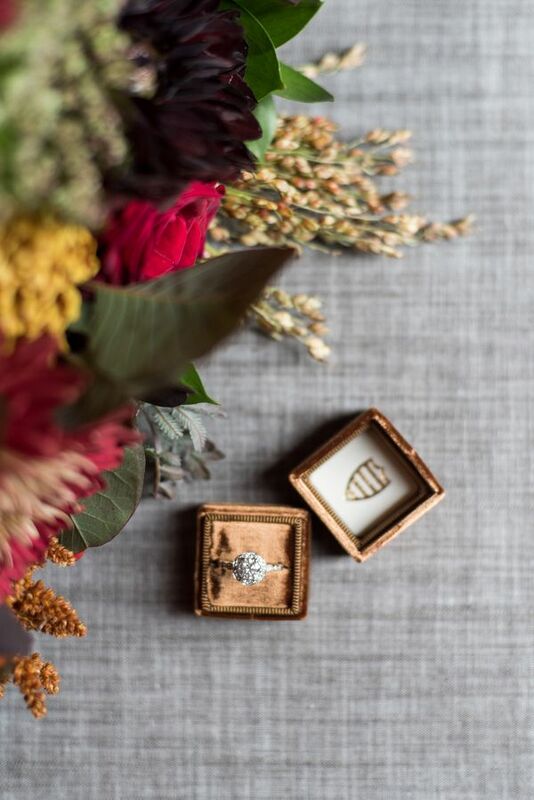 Like our other weddings this week, today's wedding is no different when it comes to awesome details, a gorgeous couple, and equally-gorgeous photos. 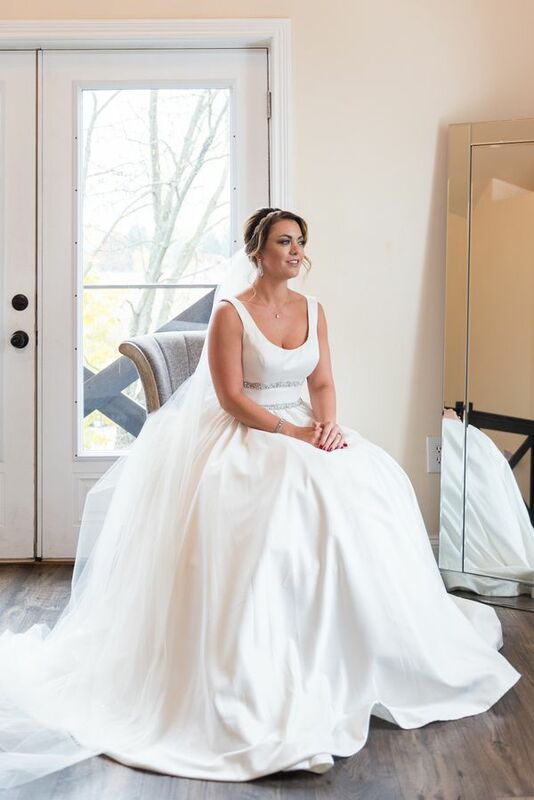 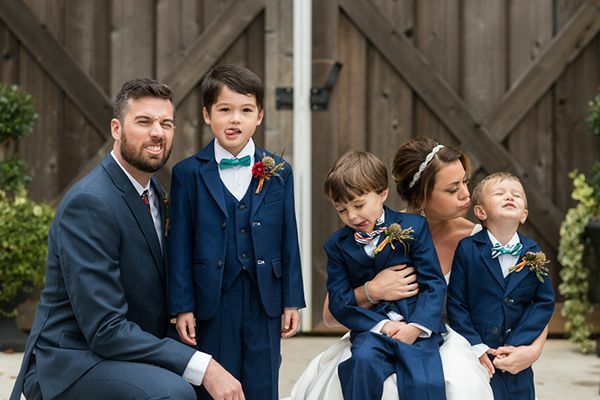 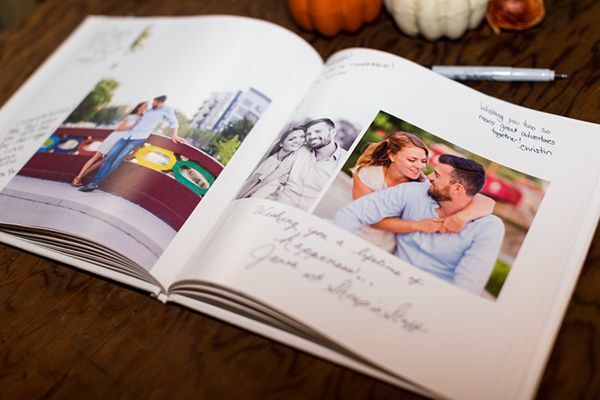 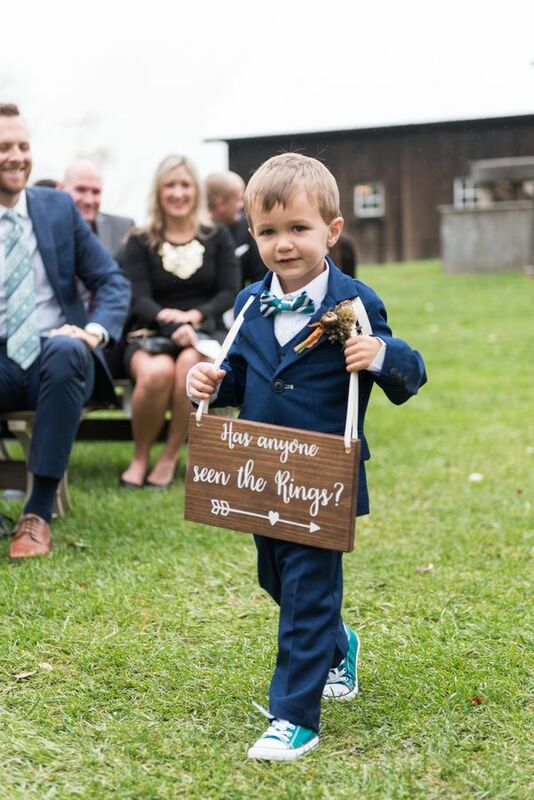 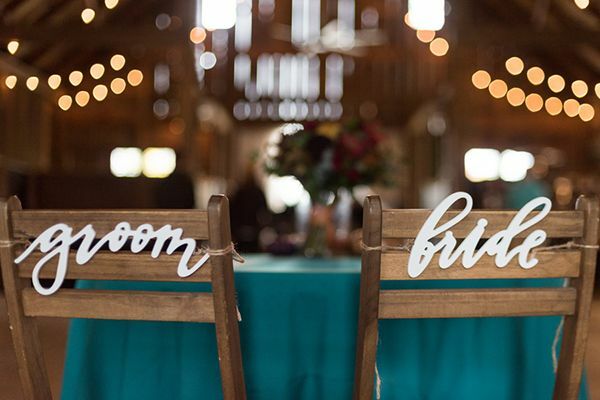 This time, the pictures are hailing from Ashley Wittmer Photography who captured all of the delightful decor, the sweet moments, and everything else in between. 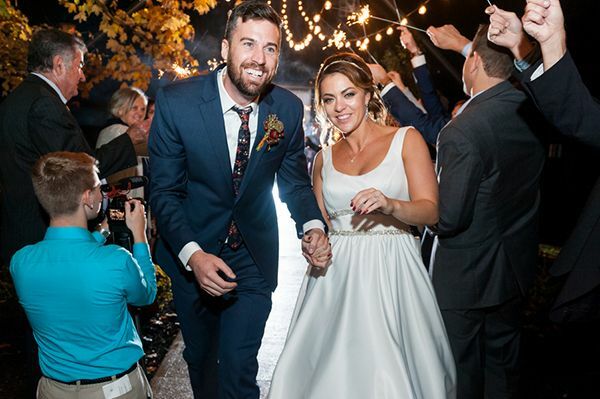 Victoria and Joel looked like they stepped out of a magazine and we think their special day does too! 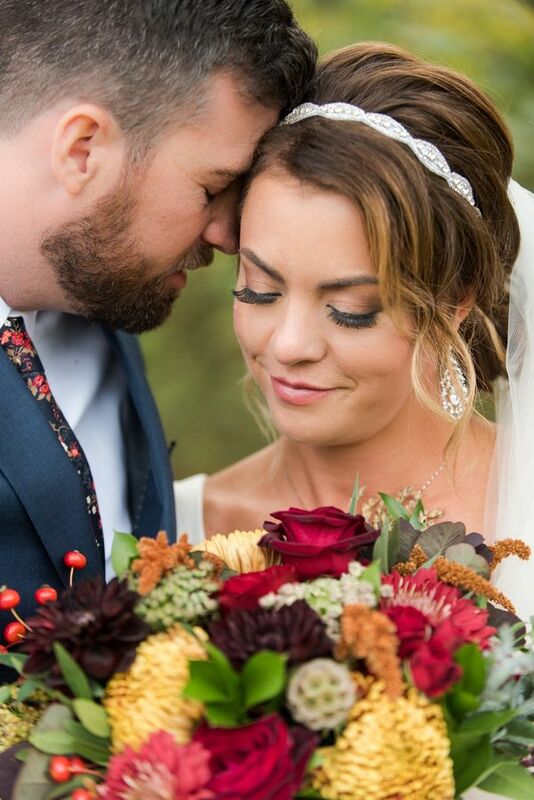 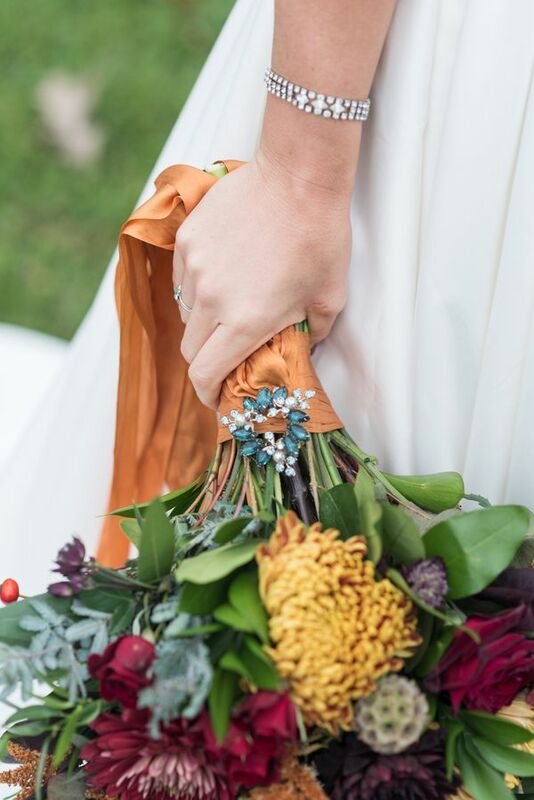 The duo definitely went all the way with their Fall color palette; a bright and festive mix of reds and yellows, with some blue tones added to the mix as well. 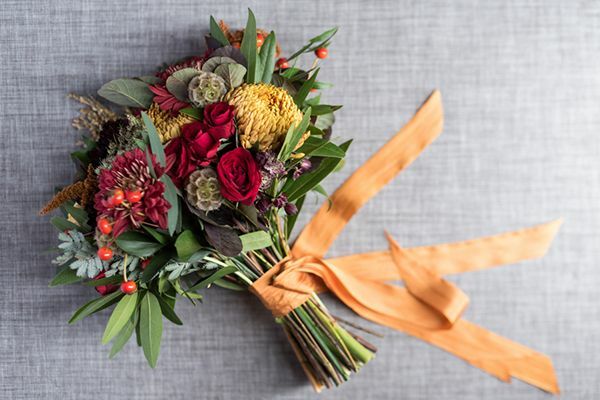 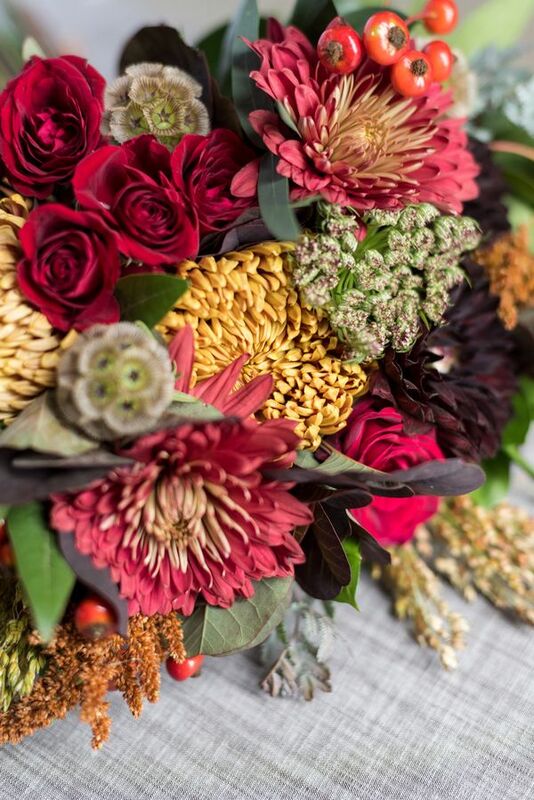 Bella Sorella Floral Design highlighted the season with color-perfect roses, dahlias, and mums to name a few. 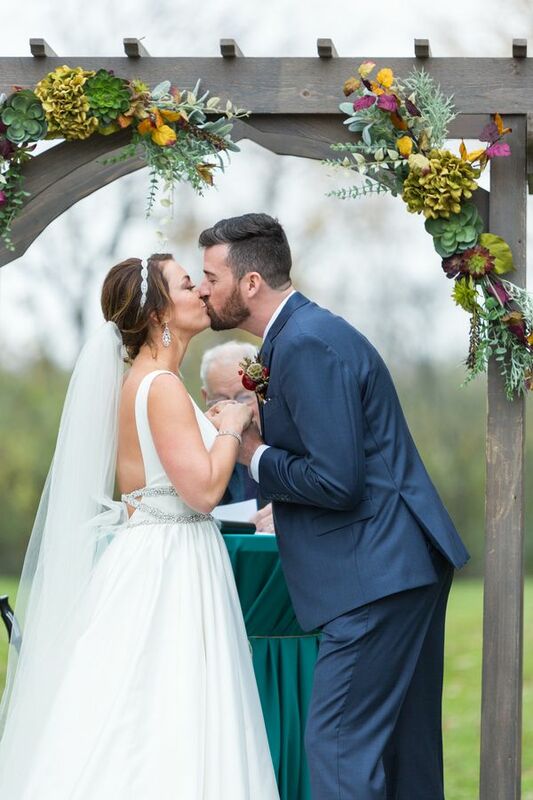 For sure, Victoria and Joel's wedding day definitely complements their fun-loving vibes and their adoration for the outdoors! 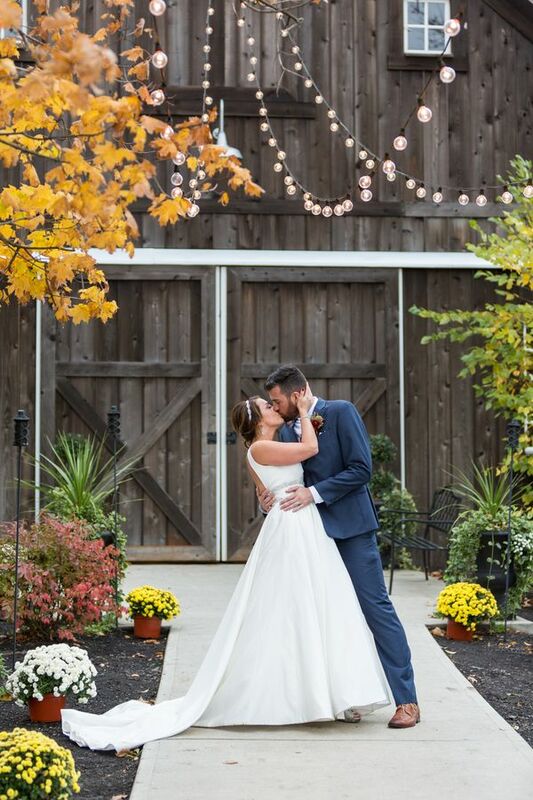 From the team, "Full of color and romance and laughter. 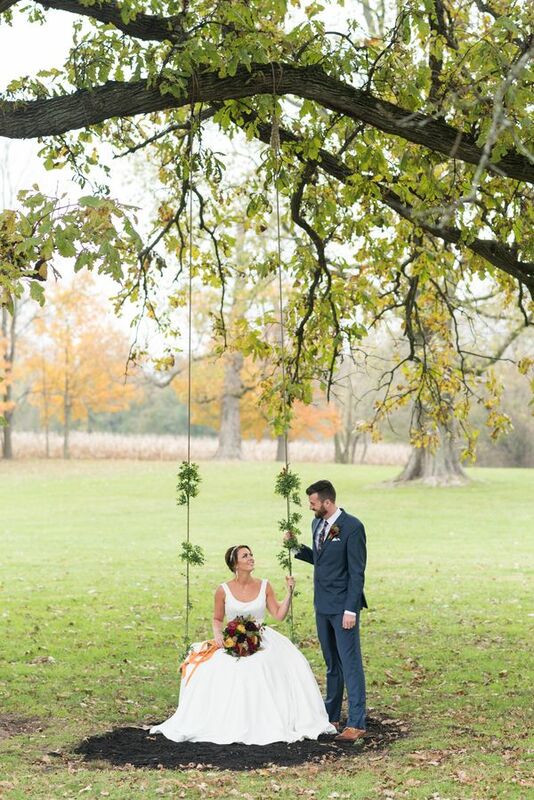 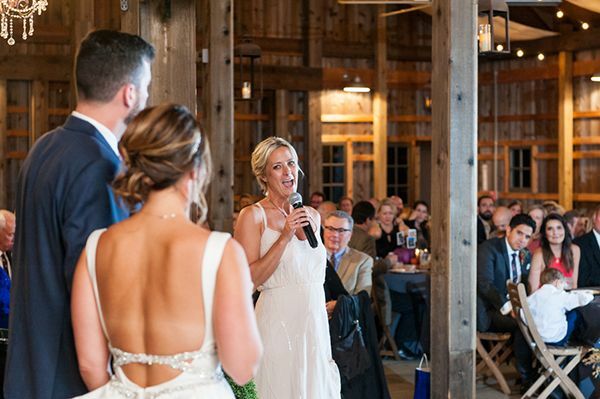 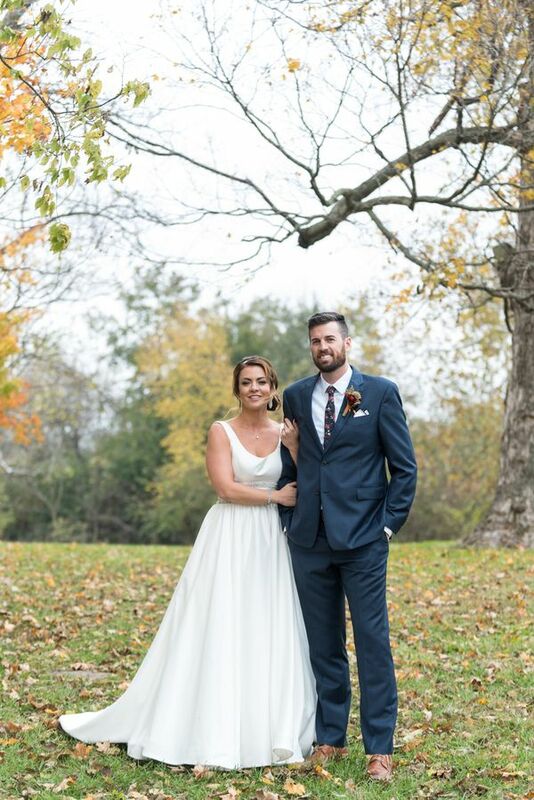 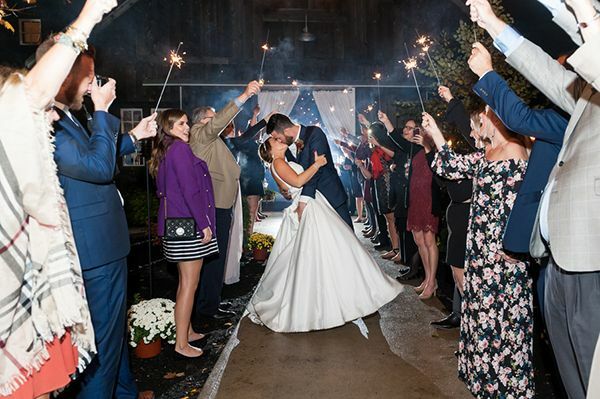 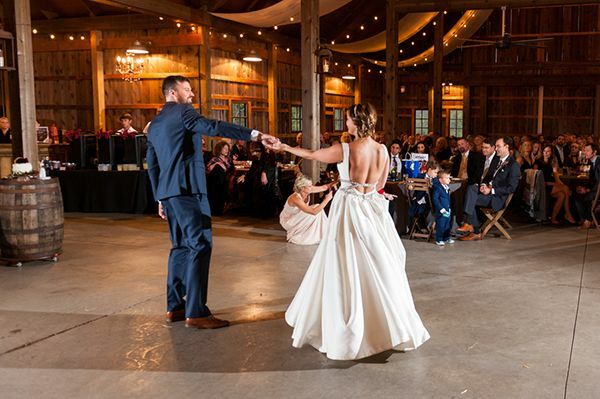 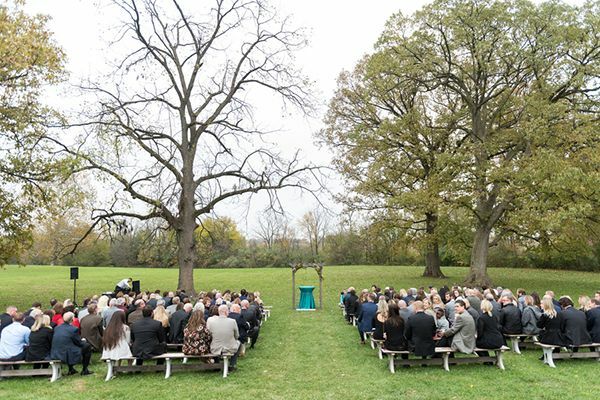 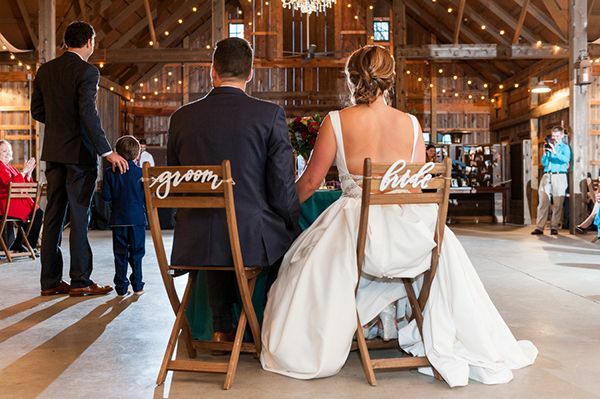 This Fall wedding was everything you'd hope a gorgeous Indiana barn wedding could be." 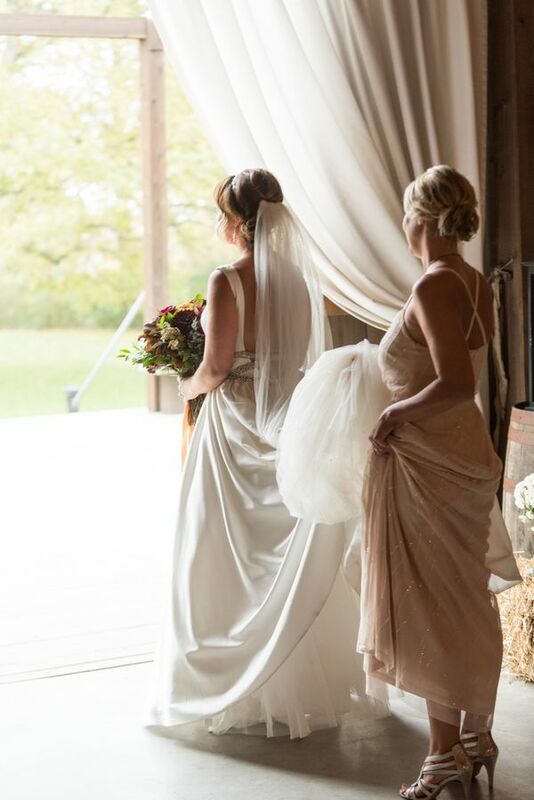 From the bride, "We are always biking, walking our dog, Reagan, hanging out in our backyard living room (complete with a TV) and going to our favorite farmers market, Locally Grown Gardens. 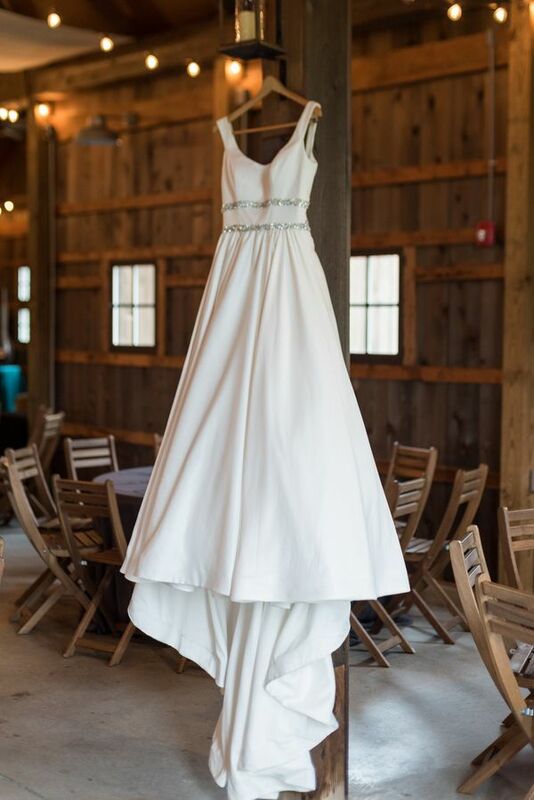 We are usually pretty casual." 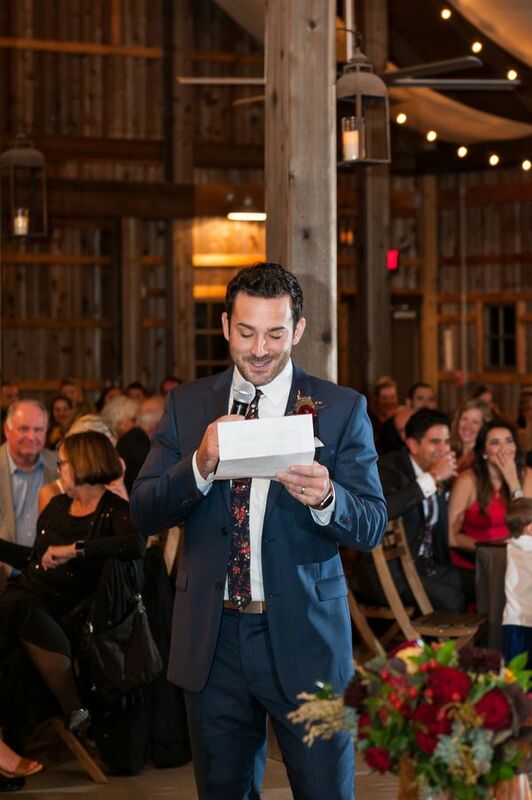 "He is one of the goofiest people I know and we are always having fun. 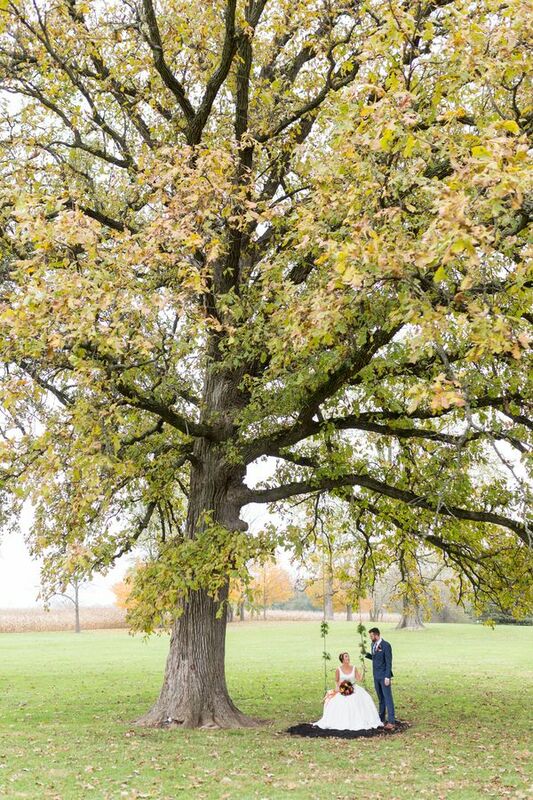 He challenges me to a handstand contest in the middle of yard work and he is the big child with a motorized skate board." 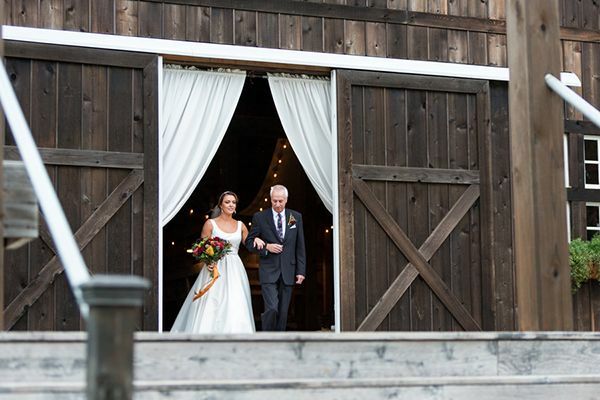 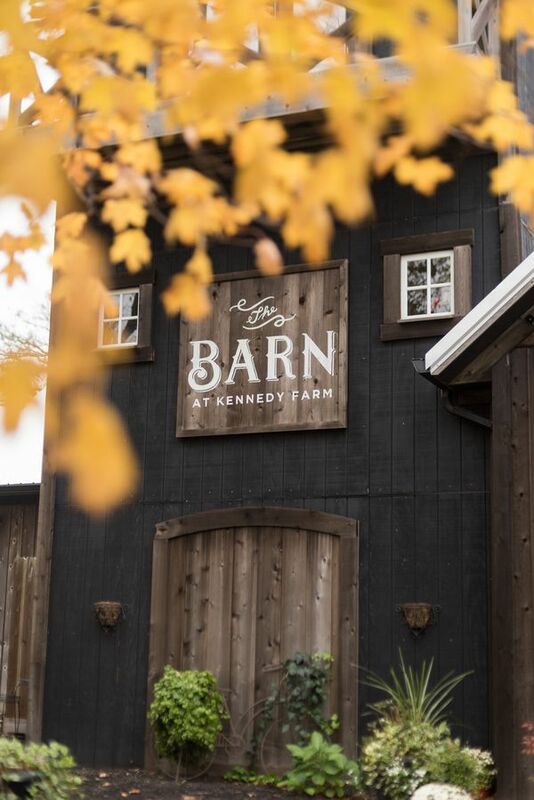 3 Comments " Victoria and Joel's Majestic Barnyard Wedding "
What an adorable venue! 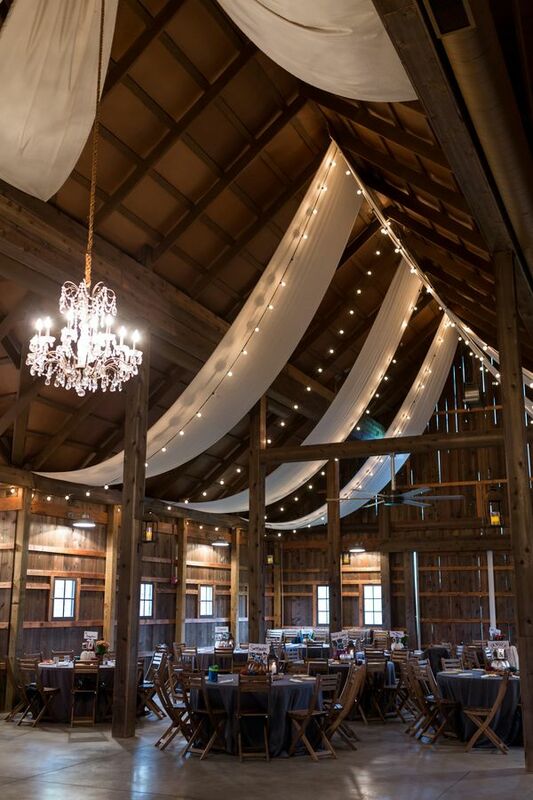 Love the combo of rustic and elegance. 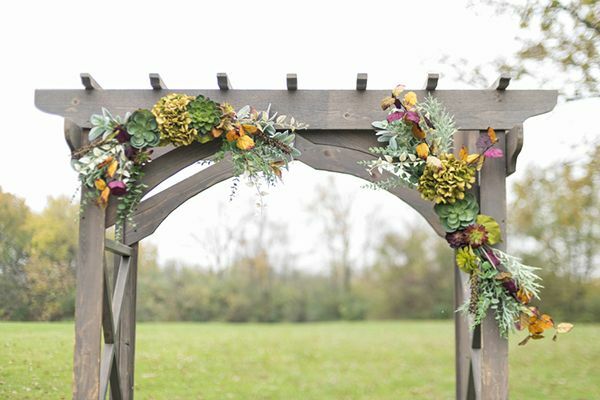 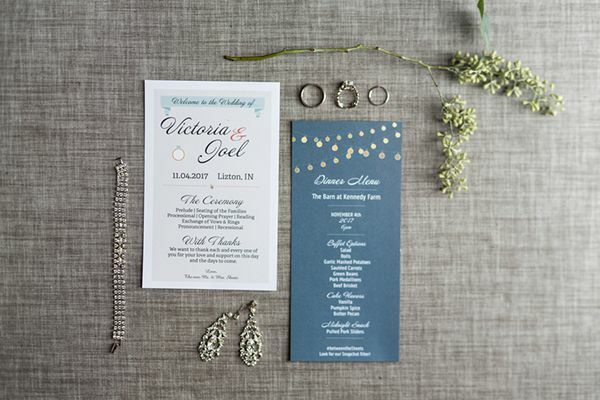 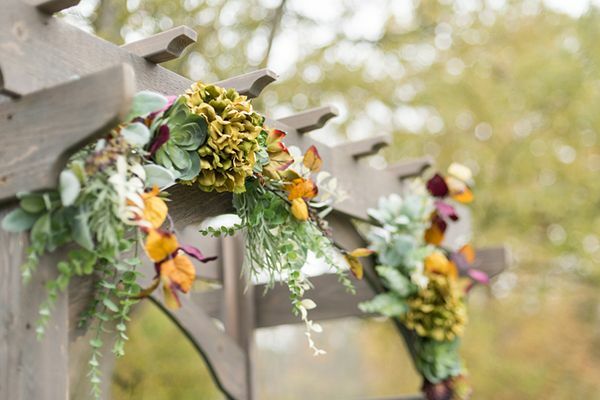 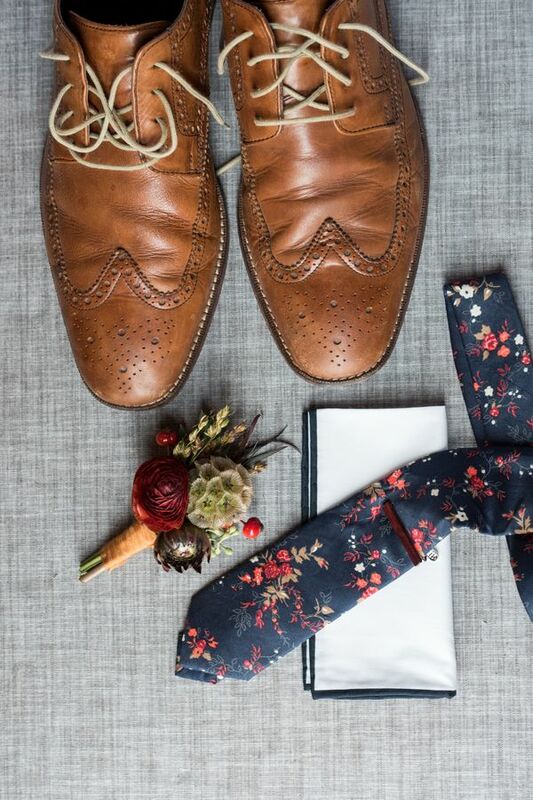 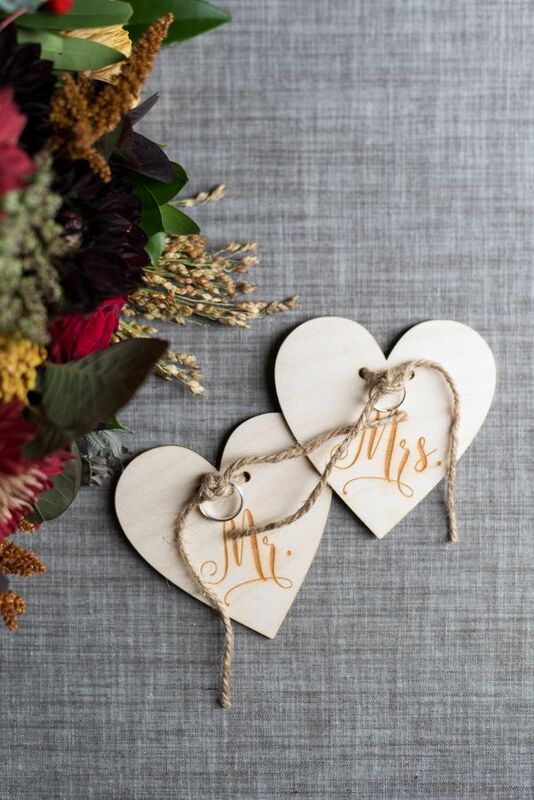 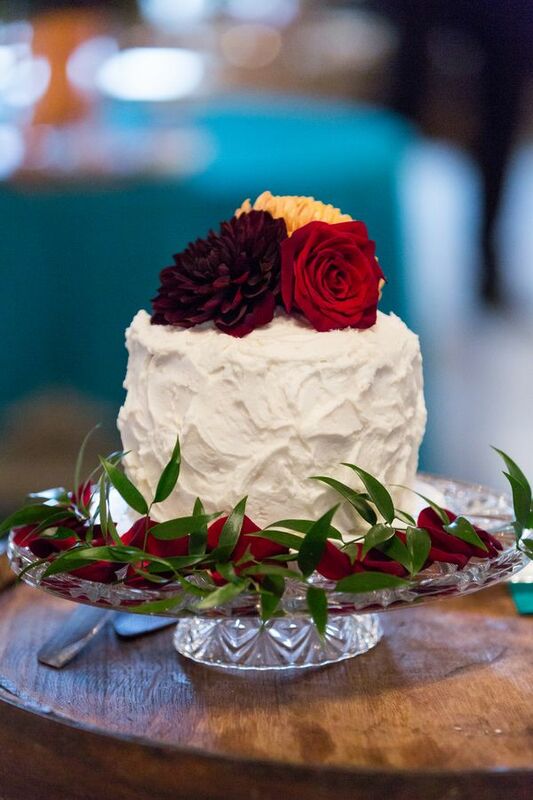 We're loving the rustic mixed with warm florals look of this wedding! 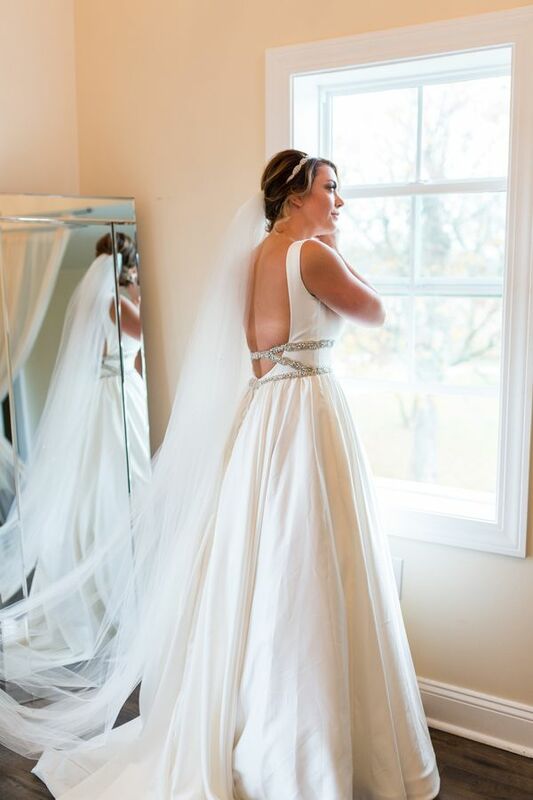 The Bride's overall look is stunning as well!